Studio goals - three separate recording rooms, an abundance of microphones, music stands, and a bomb mixing room. After building my own tiny box for recording, I'm only more impressed with the mastery required to put together something like this. Octopus is coming back at you in this immersive animated series, which is soon to hit virtual reality screens errywhere. Stoked to have been with this project from the beginning and see it evolve. The other cast is insanely talented. Their names rhyme with Bate Kerlant, Lamanda Mund, and Hob Ruebel. As always the writing is a boatload of fun. It's all being produced by a savvy group of guys, who are jumping head first into the ocean of possibility that is VR. Lookit! Last month/year I voiced a cartoon octopus for a virtual reality scene. If you haven't tried VR yet, bug your friend who has one to give it a whirl. It's pretty crazy how entertaining it is. I can't wait to share this one once it's up. A while back my amazing fiance Bekah wrote three short films for me for Valentine's Day. They were based on ideas for characters I had, a few of which I had written monologues for. Bekah worked her writerly magic and crafted them all into gut punching narratives. As luck would have it, one of her very talented friends, Alexis, wanted to transition from stage directing to film, and so asked Bekah for any shorts that she might have that she could direct. 'Again' was one of these three shorts, and Alexis chose it to be her first film directing experience. Fortunately, Alexis is married to another great talent, Rick, who is a DP fresh off of a NEXT Audience Award win at Sundance 2016. As if that weren't enough, we were joined by a smattering of talents, including producers Stephanie Marin and Tyler Evans, AD Tim Astor, and crew Dan Adlerstein, TJ Yoshizaki, Sevell Bensen, Katie Moest, Ryan O'Hara, and Dan Siegelstein. But wait, there's more! A stellar actor by the name of Aubrey Dollar joined in to play my better half. And then there's me. It's been a hot moment since I worked on a film, so there was a little adjustment to make. But what struck me many times was 'what a solid team this is, and how fun it is being on a team'. One particular moment was towards the end of the shoot - I was off screen waiting for a queue from the director to feed Aubrey lines for her closeup. By this point the crew had gelled quite a bit, so the set up came together like clockwork. So there we were, hanging on the moment, myself waiting for a slight, wizardly wave of the hand of the director Alexis. Why she didn't drop her raised finger to point at me for the queue delighted me to no end. Instead, her finger melted into an embellished swish, which cast a silent spell that said, as she did throughout the shoot, "whenever you're ready." I am. For people to see this. I'm thrilled to have just wrapped yesterday on a really fun project with RocketJump. I've been a fan of Freddie Wong's for a few years now, so it was like stepping into a really fun dream. For info on the project, HERE is their creative director Danny Vink. Check out their videos for some delightful action, special fx, and comedy. Here is a clip of theirs with Key & Peele that's received OVER 11 MILLION VIEWS!!! The cast and crew were all amazing to work with, and so talented. Big thanks to Adrianne and Christopher for bringing me in to read for it! And to Freddie for building his online wizard empire. On Tuesday night this week was the FPLA staged reading of Sharon Yablon's play Hello Stranger. The audience seemed to enjoy it, and it was really fun for me to do a play again. You get to ride a story the whole way through, instead of in the typically shorter bursts of other mediums. This is me lurking behind Heather Boothby. If you want to wander into a backyard in Fontana on El Dia De Los Muertos, this play is for you. Big thanks to Fresh Produce'd for having me! I just had the pleasure of returning to Hart of Dixie as Big Tom. Once again Bluebell was an absolute delight, in no small part due to the efforts of the cast and crew. In one day I felt like a part of the community there, and from what I understand that's pretty rare. My contributions - buffoonery, awkward flirting, & repartee. I hope you're looking forward to the episode...I'll post the air date once it nears. I recently had the pleasure of working with delightful actress Caroline Macey (Grey's Anatomy, Party Down, Medium), cinematographer Charles Papert (Key & Peele), and director Behn Fannin (Bitchy Resting Face, music videos galore) on a commercial shoot. I got to play a Jason-like serial killer, swapping gruesome deaths for silliness. Everyone involved was a delight, and I can't wait to see if ESPN has the good sense to pick it up. I recently had the absolute pleasure to work on Hart of Dixie. I'll post the air date once it nears. You can check out Hart Of Dixie on The CW Mondays 8/7 central. The show looks like a dream. Working on it was one. 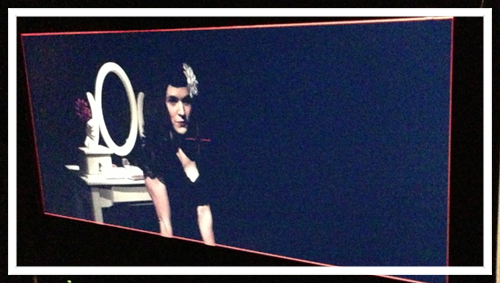 Last week I finished a quick shoot for the Black Dahlia Ballet short film wherein I play the detective. The film will be about 5 minutes long, and is intended to garner interest for a feature film. It was shot on the RED camera, and from what I can tell is going to look amazing. It has a really talented team - Daniel Lynn as the DP, Avi Quijada as the line producer, and Stephen Espinosa and Mary Ablaza as the director/choreographers. The lovely and talented Adrianne Richards plays Moira, an actress who is playing Elizabeth Short (known as the Black Dahlia) in a ballet about the murder. Here are some shots from the day of the shoot. 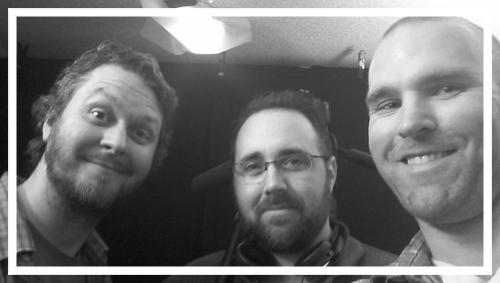 Last Thursday I shot a ridiculous infomercial with Josh Blackburn and Behn Fahnnin of the sketch group Rigor Tortoise. I wrote and acted, Behn directed, and Josh handled mostly everything else. I just saw a rough cut yesterday, and am looking forward to share it with everybody. It's very silly. Here's a pic of us three after the shoot.